Our Cockatoo "Rudy" really likes the camera. What a ham. Nice photo of Rudy. Bet he is Baxters boss. 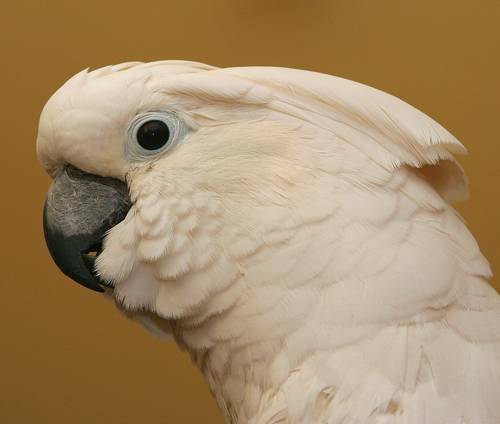 Wow what a nice shot of the Cockatoo. A very photogenic cockatoo. This is a great macro shot; the detail in the feathers is so clear; even the markings on the beak!